Everybody knows that: from June 10 to July 10 France will welcome the 15th edition of the UEFA European Football Championship. The fact that this year Spain will have the chance to regain its former 2012 glory will create as much buzz as the Euro 2016 itself! In Paris, everyone will have access to the 2016 UEFA Cup thanks to dedicated fan zones and countless bars where the matches will be broadcasted. Of course, the best thing would be to head to the Parc des Princes on the first day of the championship and then follow your team to Marseille, Lille… But not everyone is so lucky! PARISCityVISION gives you all the tips to watch the Euro 2016 matches in Paris without having to go to a stadium… and still enjoy a great atmosphere! 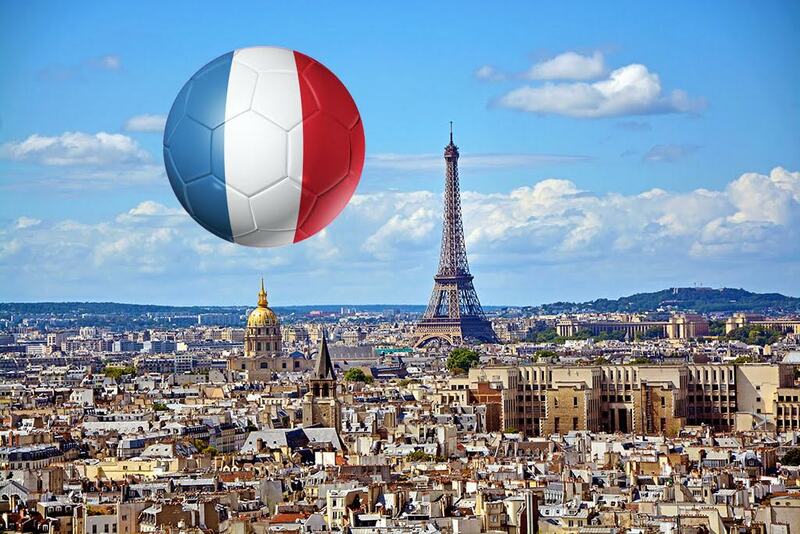 This summer, the spot for lovers of the round ball is definitely the Eiffel Tower fan zone on the Champ de Mars. Paris Town Hall has installed a giant screen (420 m²) that will broadcast all the matches, from the France-Romania kick-off match on June 10 to the final match on July 10. Eight other screens have also been set up so that everyone is able to watch the match comfortably even if they are far from the main screen. The Champs de Mars will have snack bars and concerts areas, especially on the Music Festival Day, « Fête de la Musique », on June 21. Not to miss: David Guettaʼs free pre-Euro 2016 concert on June 9th! The second largest Parisian fan zone is located just next to the « Stade de France » in the neighborhood of Saint-Denis. Although the stadium can welcome 10,000 spectators, itʼs capacity will be adjusted due to the times and dates of the « Bac » (the French high school diploma) of a nearby school. And while you are around, don’t forget to discover the top things to see and do near Paris center among which the Air and Space Museum and Cathedral of Saint-Denis. Anglo-Saxon tradition has it that a pub is the place to watch a sporting event with a pint of beer in hand. And Paris can be proud of its countless pubs and bars! Located on « les Grands Boulevards », the James Hetfeeldʼs Pub is a great place to enjoy affordable beers in a relaxed setting surrounded by 5 giant screens that will broadcast all the Euro 2016 matches. Needless to say that the place will be packed! In a smaller but no less authentic setting is the Galway Irish Pub located just a stoneʼs throw away from the Saint-Michel Fountain. Although the screens are smaller i twill be easier for you to actually watch the match! If you prefer bars to pubs, perhaps because you also prefer supporting your team in a place that is a little bit more frenchy, you can also head to the Players where no less than 30 screens will broadcast the matches! That being said, if youʼre looking for a more German ambience, check out the convivial Café Titon where youʼll find a wide array of German beers and delicious, traditional pretzels. Café Benfica is perfect for the Portugal team fans. As for Italyʼs supporters, they will gather at the Bambolina Caffé. Whatever choice you make whatʼs important is not to lose sight of the spirit of the Euro 2016, to fully enjoy this festive period, to have a blast and share memorable moments in the French capital! Make the most of you stay in Paris and visit Paris during the Euro 2016 with PARISCityVISION. It offers a wide variety of activities, tours and visits in the capital. 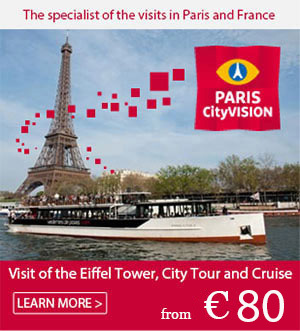 Visit PARISCityVISION's profile on Pinterest.